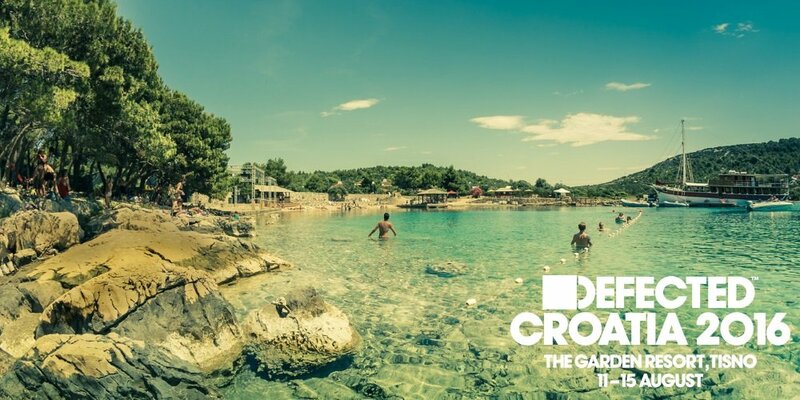 Defected Croatia at The Garden Resort, Tisno is a true slice of paradise in Croatia, home to some of the most beautiful and unspoilt coastline in Europe. Taking place in the most idyllic corner of Croatia’s beautiful Adriatic coast, Defected Croatia 2016 will see main stage house superstars to disco icons and underground heroes play all-day beach sessions, with daily boat parties all adding to a unique outdoor clubbing experience. And when combined with great food and the chance to genuinely relax, we’ve found the perfect spot for our very own music festival come holiday in the sunshine. Amongst the full festival programme, Defected In The House, Strictly Rhythm, Glitterbox, Classic and DFTD will host a range of different stages and events throughout the Festival, boasting the finest superstar house artists, underground DJ talent and the highest standards of production that have been a staple of our parties over the years. Running away to sea takes on a whole new meaning with the twice-daily boat parties planned aboard the good ship, Argonaught. This famous old wooden vessel is simply fabulous for unforgettable parties afloat. Azure Adriatic waters, shimmering sandy beaches, guaranteed sunshine, exquisite sunsets and star-lit night skies make for a fantastic festival setting where The Garden’s natural amphitheatre rolls gently into the surrounding forest-covered hills. Located just a short walk or water taxi ride from the historic old town of Tisno, which has many waterside bars, cafés and restaurants, the site itself not only has a true festival feel but retains an intimacy so often missing from many modern-day electronic music festivals.